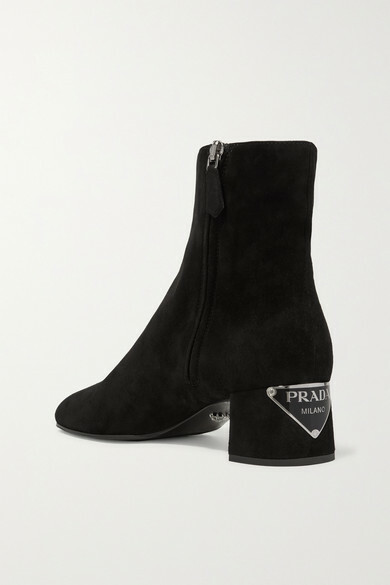 Prada's ankle boots are designed in a classic silhouette that feels fresh and cool for the season. 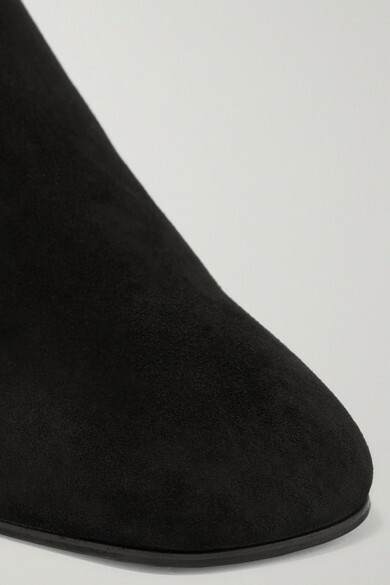 Crafted in Italy from soft black suede, this pair has an almond toe and is set on a 45mm block heel that's appliquéd with the label's logo. 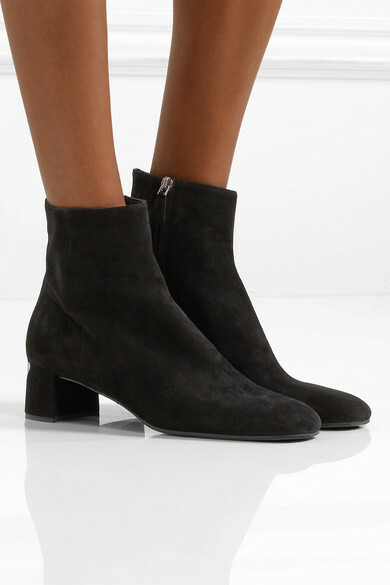 Wear them with everything from denim to tailoring. 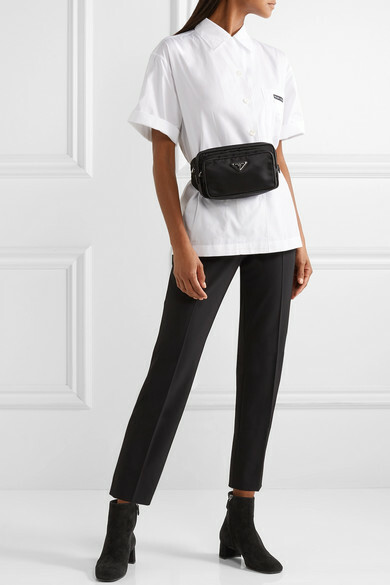 Shown here with: Givenchy Pants, Prada Shirt, Prada Belt bag.